Bing announced that users of its Bing Ads Editor will soon have some new capabilities at their disposal with the introduction of an enhanced sync result window. 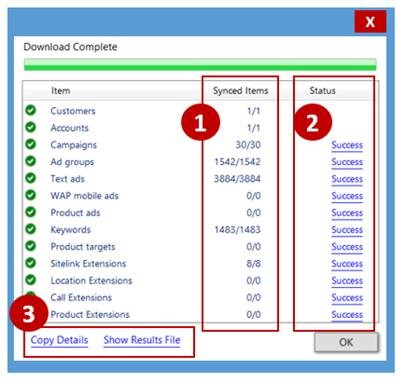 Advertisers using Bing's Ad Editor will be able to see how many changes have been downloaded or uploaded for each group of campaign terms, access outcome details of the sync (with success/failure notifications), and even have the ability document the results (downloading a CSV file, or copying and pasting the data for possible sharing with colleagues through email). The update will be welcomed by account administrators, as it can help reduce duplicate submissions of keywords and saving them some time and frustration in the digital ad management process.